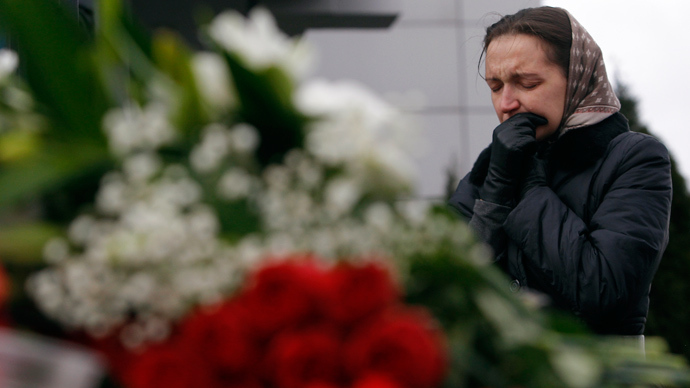 Preliminary data from a flight recorder from the Boeing-737 that crashed in Kazan, killing all 50 people on board, has revealed that the pilots’ maneuvers, not the engines, were at fault, Russia’s Interstate Aviation Committee said. According to investigators, the plane crashed at a speed of more than 450kph, about 20 seconds after pilots reported circling over, which is known by the technical abbreviation TOGA (Take Off/Go Around). "While landing, the crew failed to follow the standard set. Considering the status as not landing, the crew began to drift to the second circle in TOGA mode,” the Interstate Aviation Committee said in a statement. It has been estimated that after reducing speed to 230kph, the crew began transiting the plane into a dive “which led to the termination of the climb, the start of landing and the growth of the indicated speed," the committee said. Both of the plane’s pilots put the engines on maximum power, raising its nose up at a sharp angle that caused a quick loss of speed. In 45 seconds, the plane reached a height of 700 meters, and then plummeted to the ground. As the crew was trying to land the plane, one of two autopilots was switched off, meaning that the whole process was manual. The aviation committee said that according to data from one of the plane's onboard recorders, the aircraft’s engines and other systems were working fine until the moment the plane hit the ground. However, that contradicts earlier forensic analysis that indicated a technical failure as the likely cause of the crash. 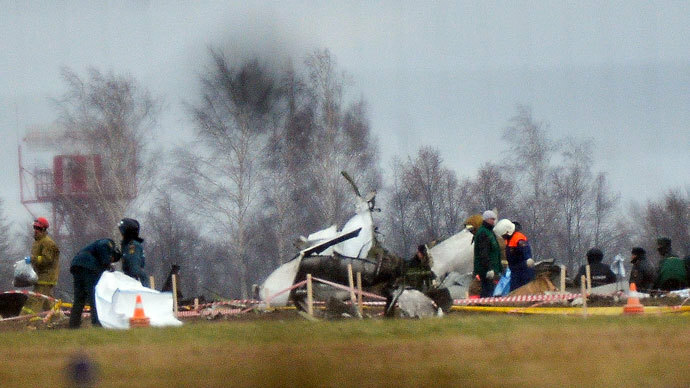 The investigation is complicated by the absence of the recording capsule from the voice flight recorder, which apparently was destroyed when the powerful impact and explosion damaged the device. Officials hope that the tape may be found among the fragments of the aircraft scattered across the airfield, rather than being obliterated. 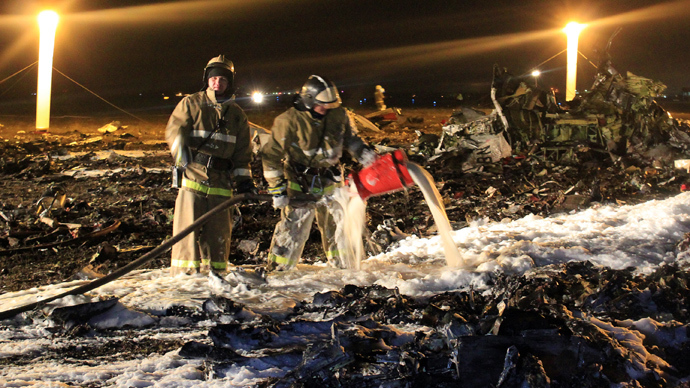 The Tatarstan Airlines Boeing 737 crashed Sunday evening as it was trying to land in Kazan, the capital of Russia's Republic of Tatarstan, after a 500-mile flight from Moscow. There were 44 passengers and six crew members on board. Among the victims were Irek Minnikhanov, son of Tatarstan President Rustam Minnikhanov, and the head of the regional branch of the Federal Security Service, as well as a British citizen. 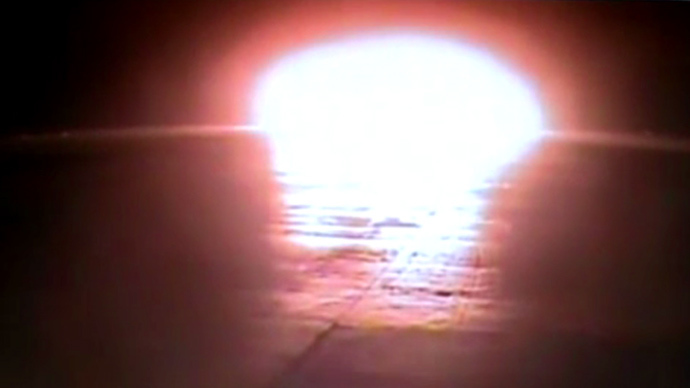 Technical failure and pilot error are both suspected to have caused the crash. The official investigation is still ongoing.